Summer Games Done Quick 2016 has wrapped up. The event raised around $1.3 million for Doctors Without Borders during the week long charity stream where around 170 games and 200 players donated their time and expertise to give the gaming community an entertaining 24/7 display of gripping moments, glitched games and great commentary. I’ve compiled a list of the what I think were the highlights of the event, based on how entertaining the games were, how impressive the runners were, and how cool some of the spectacles were to watch. This list is a compilation of the best runs throughout the event, spanning races to co-op, blind-runs to glitch exhibition. 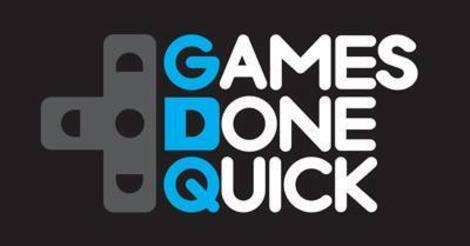 Summer Games Done Quick 2015 has wrapped up this morning. The event raised around 1.25 million during the week long charity stream where around 125 games and 140 players donated their time and expertise to give the gaming community an entertaining 24/7 display of gripping moments, glitched games and great commentary. Race (Compete against other players to beat the game as quickly as possible) – used more for games with heavy randomness throughout the game. This is probably enough background to understand the majority of speedrun videos and enough to understand the highlights for SGDQ2015.